You can meet Ravioli at PetSmart South (4835 Gordon Road, Regina). The handsome Ravioli is a typical stray male cat who showed up on the property of a kind couple who actively assist strays and contacted Regina Cat Rescue (RCR) for help with this sweet guy. Ravioli is a lovely and gentle guy who was happy to be safe and sound. 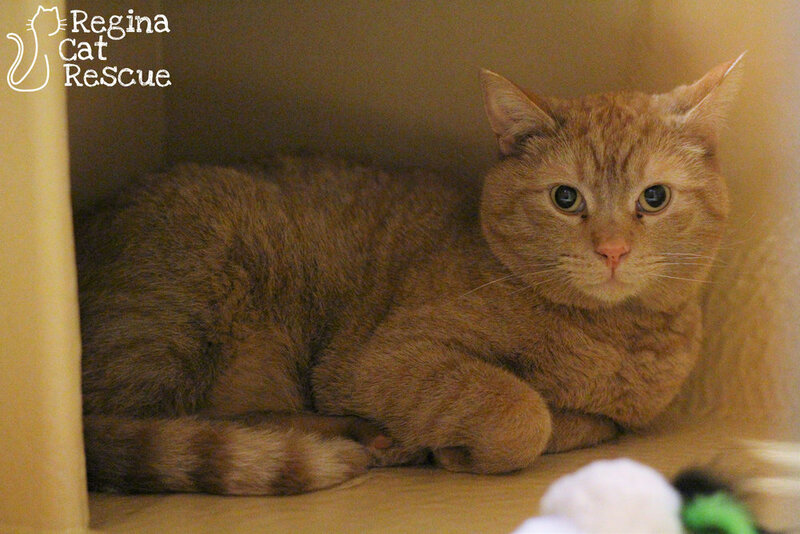 Rav was a bit shy upon arrival in RCR care but he warmed up fast and is one of the sweetest cats around. He's good with other cats, and loves pets and cuddles. This sweet boy will be sure to reward his forever home with a lifetime of love. If you are interested in Ravioli, click here to view our adoption contract and click here to complete an adoption application or email the RCR Adoption Coordinator at adoptions@reginacatrescue.com for more info.